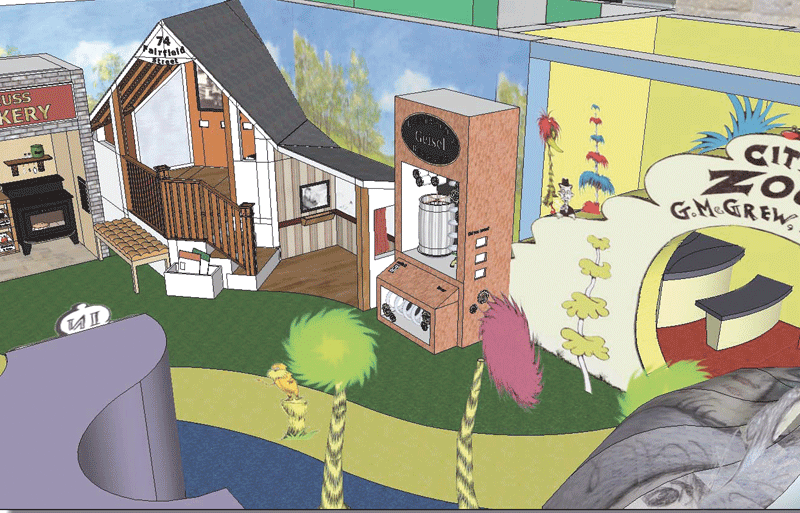 Top: an artist’s rendering of one of the scenes to unfold on the first floor of the planned Dr. Seuss museum, set to open in June 2016. 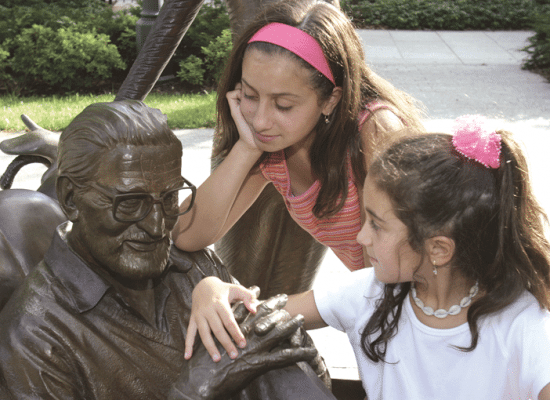 Above: kids visit Ted Geisel’s statue in the outdoor sculpture garden. Holly Smith-Bove says that, over the years, the bulk of the phone calls and inquiries from visitors to the Springfield Museums — maybe 80% of them by her estimate — have concerned the “Dr. Seuss Museum,” even though there isn’t one. There is a sculpture garden featuring Seuss characters, as well as the author himself, on the museum grounds, which helps explain all those inquiries, she said. Still, many assume there is a museum attached to that hugely popular attraction. Meanwhile, there’s also an image of the Cat in the Hat on the museums’ logo, creating additional expectations. But another huge factor is simply the strong international pull of Theodor Seuss Geisel, the most famous children’s author of all time — an estimated 600 million copies of his various works have been sold in 95 countries around the world — and knowledge of his many connections to Springfield, his birthplace, said Smith-Bove, president of Springfield Museums. And thus it is with a good deal of relief — and anticipation — that such questions will now be given a different answer. Specifically, that the Amazing World of Dr. Seuss Museum will open its doors in June 2016 in the William Pynchon Memorial Building, which once housed the Connecticut Valley Historical Museum. The new facility will be highly interactive and have a strong literacy component, said Kay Simpson, vice president of Springfield Museums, who spearheaded the Seuss museum project. 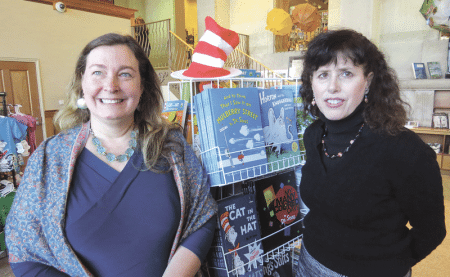 She told BusinessWest that the first floor of the Seuss museum, some 3,200 square feet of exhibition space, will house “The Amazing World of Dr. Seuss,” a permanent, bilingual exhibit deigned to introduce children and their families to the stories of Geisel, promote joy in reading, and nurture specific literacy skills. “The exhibit is really focused on Ted Geisel growing up in downtown Springfield, and how the sights that he saw and some of the characters he encountered later appeared in his books,” said Simpson, noting that there are many connections, including Mulberry Street, just a few blocks from the Quadrangle, which was the focus of his first book, And to Think That I Saw It on Mulberry Street. The second floor, meanwhile, which is due to open roughly a year later and is what Simpson called a “work in progress,” will house additional exhibits, including a planned re-creation of Geisel’s studio, an exhibition about the making of the sculpture garden, and other related displays. The new museum is expected to generate perhaps a 25% boost in overall visitorship to the Quadrangle (currently about 400,000 annually), said Smith-Bove, adding that the attraction has strong potential to bring a number of economic benefits to the City of Homes, especially if the museum concept can be built upon in ways to include other city landmarks. Holly Smith-Bove, left, and Kay Simpson say the new Dr. Seuss museum will bring many benefits, including a boost in sales of Seuss items in the gift shop. Indeed, museum officials are already pondering such possibilities as Seuss walking or driving tours that could possibly include his childhood home on Fairfield Street (currently on the market), his alma mater, Classical High School, the site of his maternal grandparents’ bakery on Howard Street, and other sites. They also envision packaging a Seuss experience with other facilities honoring artistic and literary figures, such as the Mark Twain Museum in Hartford, the Norman Rockwell Museum in Stockbridge, the Eric Carle Museum of Picture Book Art in Amherst, and others. For this issue and its focus on travel and tourism, BusinessWest takes an in-depth look at plans for the Seuss museum and talks with those involved about how it might prompt visitors to explore not only the worlds Geisel created, but the city that inspired so much of what he drew. 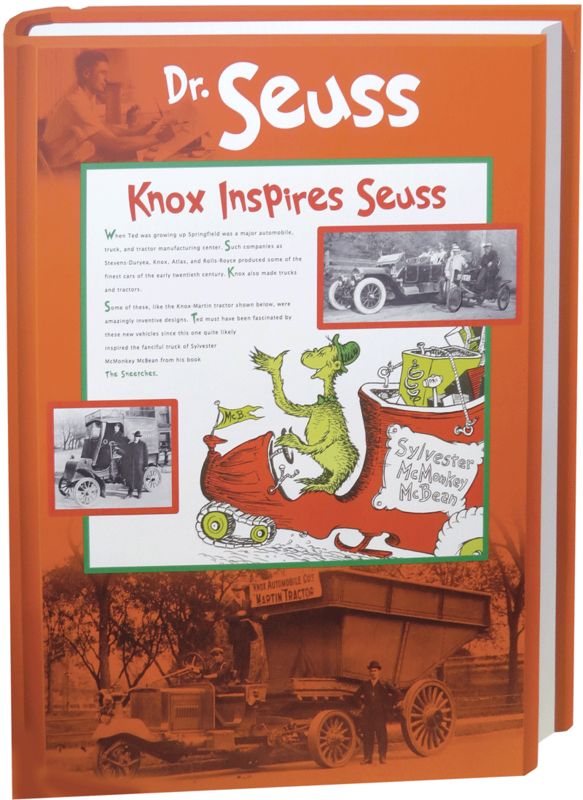 Simpson told BusinessWest that discussions concerning a Seuss museum began in 2002, not long after the Dr. Seuss National Memorial Sculpture Garden opened, and it became immediately apparent just how powerful a draw the children’s author and his famous characters were. “It was a huge attraction the day it opened to the public, and it still is today,” said Simpson, noting that, because people don’t have to purchase admission to visit the garden, it is hard to keep an accurate account of visitorship, but she estimates at least 100,000 people a year. From a qualitative standpoint, she said the sculpture garden has been a hit with people of all ages, and it has attracted cars bearing the license plates of nearly 50 states. “When the kids come onto the Quad, the minute they see the sculptures, they immediately run toward them — it’s very meaningful for people,” Simpson noted, adding that, while it is mostly a spring and summer phenomenon, weather doesn’t stop many of the faithful. And many of those visitors, as Smith-Bove noted, want to know where the Seuss museum is. While there has long been a desire to create one and meet that recognized need, Simpson explained, many pieces had to fall in place for such a facility to become reality. Such pieces included physical space, a problem that was solved when the various collections in the Pynchon building were moved to the new Lyman and Merrie Wood Museum of Springfield History in 2009, freeing up that square footage. Another was gaining the blessing of Geisel’s widow, Audrey, and Dr. Seuss Enterprises, an organization that zealously promotes and protects the Seuss name and brand, while still another was funding. 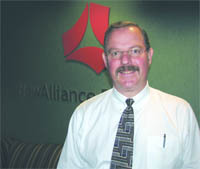 In many respects, Simpson said, those challenges were woven together. “We had a conceptual plan for the first floor of the Pynchon building, which had received approval from Dr. Seuss Enterprises, but they had a condition,” she explained. “And the condition was that we had to raise all the money that we needed to execute that conceptual plan before we started any construction or fabrication. “It’s been like a patchwork quilt,” added Simpson of the efforts to create the museum, adding that a key stitch came from a $1 million appropriation from the state, which, when added to roughly $600,000 and other donations, including a $150,000 gift from the Institute of Library Services, gave the Museums more than the $1.5 million needed to greenlight the project and begin work. Following an extensive RFP process that yielded responses from firms across the country, the Springfield Museums contracted with a design group comprised of 42 Design Fab, based in Indian Orchard, and 5 WITS Productions and Boston Productions Inc., both based in Norwood, to create the interactive elements for the first floor. The new Seuss museum will focus on the many connections between the author and Springfield, including early vehicles produced in the city. Visitors will enter the exhibition through a large entry hall designed to simulate elements of And to Think That I Saw It on Mulberry Street. In succeeding galleries, they’ll explore a series of environments that replicate scenes from Geisel’s imagination and encounter life-sized, three-dimensional characters and places from the books. Overall, what’s planned for the two floors of the Pynchon Building, a Georgian Colonial Revival style structure, is a celebration of the author, his works, and his many connections to Springfield, said Simpson and Smith-Bove, adding that childhood literacy will be an important component of the facility. That’s because one of Geisel’s primary motivations for his many children’s books was to get young people excited about reading, said Simpson. Indeed, starting with The Cat in the Hat, published in 1957, he launched what became known as the I Can Read It All By Myself Beginner Book Series, which would also include The Cat in the Hat Comes Back, One Fish Two Fish Red Fish Blue Fish, Green Eggs and Ham, Hop on Pop, and many others. “We’re going to be a resource for the community in terms of emphasizing reading and the importance of reading,” she said of the new museum. “And our exhibits will have literacy built into them. As for Springfield connections, there are many, said Simpson, noting that, while the author never lived in the city following a brief return after doing graduate work at Oxford, his birthplace was always important to him, and many of its landmarks, as well as the inventions and products with which the city is most identified, can be seen in his works. It’s all explained in a number of informational panels on the author now on display in the history museum. One cites the stunning resemblance between the towers in the armory building on Howard Street (set to become part of the MGM casino complex) that sat across the street from his maternal grandparents’ German bakery, and a tower in The 500 Hats of Bartholomew Cubbins. Another panel speculates on how the Knox automobiles and Indian motorcycles manufactured in the city early in the 20th century may have influenced vehicles presented in his books, while another cites how his paternal grandfather’s brewery, the Kalmbach & Geisel Brewery, may have inspired some of his drawings. And still another informs readers of how the animals in the Forest Park Zoo — which Geisel’s father served as superintendent after Prohibition torpedoed the family brewery — inspired the many creatures in his books. These myriad connections help explain why the Seuss family and Dr. Seuss Enterprises determined that, if there was to be a museum devoted to the children’s author, it should be in Springfield, said Smith-Bove, adding that it will be the only facility of its kind dedicated to his life and work in the world. And while it will be launched in the Pychon building, there are expectations that it may be expanded down the road, said Smith-Bove, adding that, in the meantime, the other facilities in the Springfield Museums could be utilized to provide a broader Seuss experience. These extend well beyond the Quadrangle itself, said Simpson, adding that Springfield Museums and city officials should work together to use those connections between Geisel and his hometown to bring more attention — and visitors — to the museums and the city as a whole. “Ted really knew downtown Springfield — he went to Classical, he used the main branch of the city library [on State Street], and some of his books actually to refer to what was then called the municipal auditorium, Symphony Hall,” she explained. “So we were thinking that we could do a walking tour, which goes to the idea of cultural tourism. When asked about the projected impact on the Quadrangle from the new museum, Smith-Bove and Simpson again flashed back to when the sculpture garden opened. The first few years it was open, it was a huge draw, they said, adding that visitorship to the museums grew by roughly 25% over that time. A similar increase is expected from the new facility, along with a corresponding increase in the museums’ overall economic impact on the city, currently pegged at roughly $28 million. And for the Springfield Museums themselves, in addition to the surge in visitorship, there is an expected trickle-down to facilities like the gift shop, where sales of Seuss-related items — from books to Cat in the Hat hats to plush toys — account for more than 25% of total revenues. 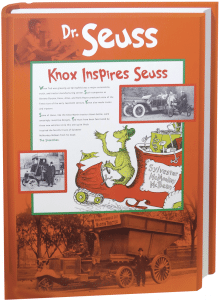 The health and vitality of both the Seuss name and brand is evidenced by the coverage given the news of the planned Seuss museum, said Matt Longhi, the museums’ director of marketing and public relations, who tracks such things. He said stories or notes have appeared in the Boston Globe, the New York Daily News, Time, Entertainment Weekly, and even the South African Art Times and Al Jazeera’s New York bureau. More significant than the press is the manner in which the Seuss brand continues to grow — in scope and also in terms of revenue, said Simpson, adding that the Seuss name, and the books, have enormous staying power. In addition to staying power, it is expected that the celebrated author will have drawing power — in a figurative sense — which will bode well for the museums at the Quadrangle, the city itself, and all those who want to celebrate the life of Springfield’s most famous resident.